After being briefly buried under snow on Sunday, we’ve all been thinking warm thoughts—but at Baltimore Heritage we’re thinking hot—like the 2500-degree fire that burned through downtown Baltimore 114 years ago next month. We hope you can join local historian Wayne Schaumburg at the cozy Garrett-Jacobs Mansion on Mount Vernon Place on Sunday, February 3 to learn more about the Great Baltimore Fire. 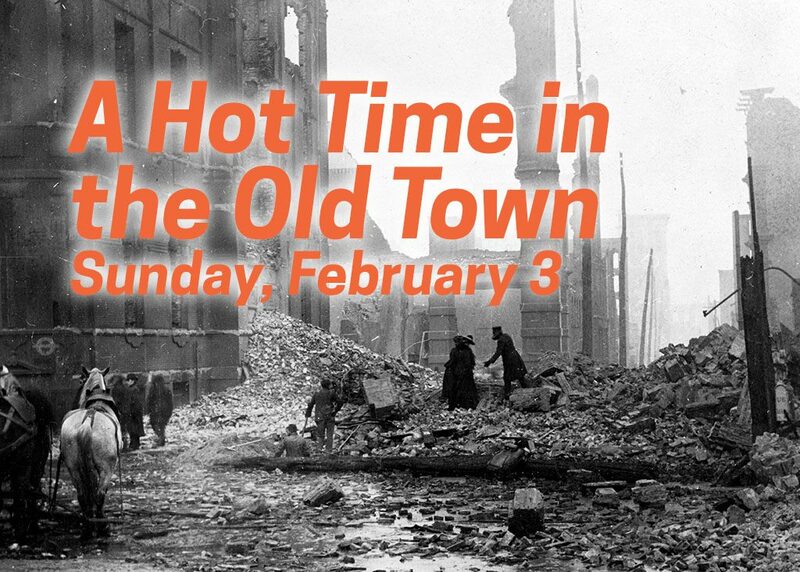 In his talk, A Hot Time in the Old Town, Wayne will share how hot the fire burned (yes, up to 2500 degrees) and how the event fundamentally shaped the Baltimore we know today. 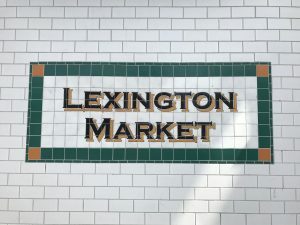 On Saturday, February 9, we are excited to bring back our monthly tours of Lexington Market showcasing historic vendors and exploring the catacombs below the west building. Lexington Market boasts three legacy businesses that have been around for a hundred years or more: Faidley’s Seafood, Konstant’s Candies and Peanuts, and Mary Mervis Delicatessen. Throughout the year, you can expect more tours of legacy business as part of our effort to document and highlight the city’s long-lasting and well-loved business institutions. Finally, I want to say a very sincere thank you to everybody who joined or renewed their membership in 2018. Nearly two hundred people joined or renewed their membership in the last two weeks of December, bringing our total to nearly seven hundred supporters for the year. We’ve said it before, but we never get tired of repeating it—we are a small organization and your gifts make all of our work possible. Thank you!